The New Jersey Division of Gaming Enforcement (DGE) has returned to the topic of licensing international online-gaming operates who seek permission to operate in the state while also conducting business in so-called “grey market” jurisdictions elsewhere around the globe. Earlier today, DGE Director David Rebuck issued a “Director’s Advisory Bulletin” intended to serve as a guideline for whether or not potential New Jersey operator applicants will get the thumbs-up from the state. 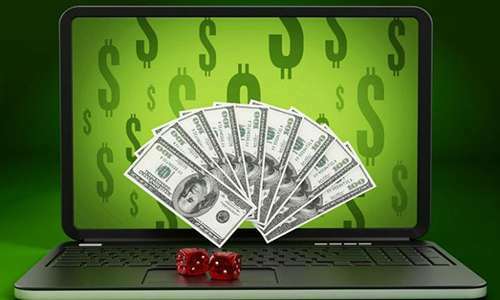 The issue has been a moderately contentious topic ever since New Jersey authorized online gambling under the aegis of the DGE, which serves as its own regulatory body. Several of the state’s large, Atlantic City-based casinos opted not to invest heavily in the software and hardware infrastructure needed to operate effectively in the modern online world. Instead, these casinos partnered with large, Euro-based gambling firms with existing online experience. The tradeoff, as one might expect, is that jurisdictions the world over have not always explicitly defined what is and what isn’t legal or illegal online gambling. New Jersey and federal US law general forbid the approval of business entities knowingly breaking the law, whether in the US or elsewhere. The topic came to a head in New Jersey when the original PokerStars, then operated by Rational Group and owned by a small cadre of investors, including co-founding father and son Isai and Mark Scheinberg, first sought to buy a failing Atlantic City casino. Once that deal fell apart, Rational and Stars entered into a new deal with another Atlantic City property, Resorts Casino AC. 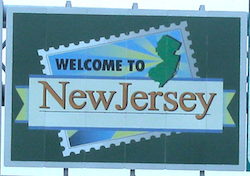 Throughout this period, opponents and potential competitors of PokerStars sought to have the company barred from consideration for New Jersey approval, on grounds that the company explicitly violated US law by serving US-based online poker players from 2006 (when the US’s UIGEA was signed into law) and 2011. The truth was never really that simple, at least from PokerStars’ legal perspective. The UIGEA never mentioned online poker, and it was based on a law — the US’s 1961 Wire Act — that was specifically designed to curtail illegal sports betting. Other US-facing poker sites offered additional games, typically blackjack or casino games that were more likely to run afoul of other federal- or state-level laws, but PokerStars did not. What PokerStars eventually agreed to an out-of-court settlement regarding was a complicated scheme to disguise the nature of the deposits and withdrawals made by US-based players, though the core activity — online poker — was never judged to be illegal at the US federal level. That’s one example that illustrates a “grey market” scenario, and it helps explain why PokerStars, once it had been sold to its new owners, Canada’s Amaya, Inc., was eventually approved in New Jersey. The greater tale, however, is that such gaps in international licensing occur all over the world, and Rebuck’s latest opinion is an effort to create a known standard for how all such situations are treated. These cross-border Internet gaming operations have caused uncertainty with gaming regulators regarding the legality of Internet gaming operations of their licensees in foreign jurisdictions and how those activities should be considered when evaluating suitability for licensure. The uncertainty in the minds of casino regulators is the result of a variety of factors: legislative bodies that failed to enact laws specific to online gaming, confusion regarding the applicability of existing land-based gaming laws to Internet gaming operators, in-personam jurisdiction issues inevitably created by the borderless nature of the Internet, and the lack of affirmative, concrete actions by the foreign government indicating whether it opposes Internet gaming by its citizens. The proclamation leads off a two-page explanation by Rebuck and the DGE which can generally be regarded as an attempt to define some wiggle room on the topic… odd as that might sound. As long as the operators in question aren’t specifically operating in a “black market” matter, conducting business in blatant violation of a country’s existing and enforced laws on the topic, then it becomes a matter of case-by-case evaluation for New Jersey’s regulators. Initially, the Division wishes to affirm its existing position that Internet gaming companies found to be operating in black markets will not be able to establish the “good character, honesty and integrity” required for licensure in New Jersey. Rebuck’s bulletin carved even more room for independent consideration by noting that even in the case of countries who have attempted to forbid certain online-gambling activity, it might not matter if that very act of banning might be in violation of international trade agreements. The bulletin specifically mentioned the battle, more than a decade old, between the European Union and various member states who have refused to cede control of online-gambling matters to allow for equal licensing opportunities across all of the EU. Drawing such lines and noting such exceptions allows New jersey regulators to apply a grey-market standard at will wherever legitimate legal issues over Internet-based gaming arise. And as a general rule, the DGE plans to approve operators who offer services in these grey-market jurisdictions, as long as they’re not also doing the same in explicitly defined, black-market nations as well.